Going back to school might be exactly what you need to jumpstart a new career or learn about a new industry. But it's important to consider whether it's the right time for you, at this point in your life, to make such an important commitment. Before you start applying, consider these eight questions about your personal and career goals, financial implications, and the time commitment required to succeed. Why is going back to school on your mind lately? Is it because your degree or certificate will help you get a better job or promotion? Are you bored and looking for a way out of your current situation? Are you retired and want the thrill of working for a degree you've always wanted? Be sure you're going to school for the right reason or you might not have the determination you need to see it through. What is it that you're hoping to achieve by going back to school? If you need your GED credential, your goal is crystal clear. If you already have your nursing degree and want to specialize, you've got lots of options. Choosing the right option will make your journey more efficient and more economical. Know what's involved in getting exactly what you want. School can be expensive, but help is out there. If you need financial aid, do your research ahead of time. Find out how much money you need and how you might get it. Student loans aren't the only option. Look into grants and pay-as-you-go. Then ask yourself if your level of desire is worth the cost. Do you want to go back to school badly enough to make the work and expense worth it? Does Your Company Offer Tuition Reimbursement? Many companies offer to reimburse employees for the cost of education. This isn't out of the goodness of their hearts. They stand to benefit too. If your company offers tuition reimbursement, take advantage of the opportunity. You get an education and a better job, and they get a smarter, more-skilled employee. Everybody wins. Keep in mind that most companies require a certain grade point average. Like everything else, know what you're getting into. Investing in your education is one of the smartest things you will ever do. 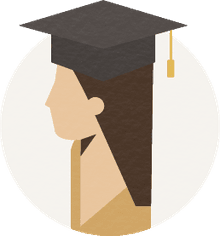 The National Center for Education Statistics collected data in 2007 showing that a 25-year-old male with a bachelor's degree earns a median income more than $22,000 higher than one with a high-school diploma. Each degree you earn increases your opportunities for higher income. Life demands different things of us at different stages. Is this a good time for you to go back to school? Do you have the time you'll need to go to class, read, and study? Do you know how to manage stress? Will you still have time to work, to enjoy your family, to live your life? Consider the things you might have to give up in order to devote yourself to your studies. Can you do it? Remembering that adults learn differently than children and teens, think about whether or not you have the support you need to go back to school. Are there people in your life who will be your cheerleaders? How Do You Train for a Job in a High-Growth Industry?